The Hindus were much equally scattered throughout all parts of the district except the Waziri tracts, in which there were very few. Of the 30,000 in the district in 1877-78, fully two-thirds were engaged in trade, the rest gained a living as agriculturists in different villages. The majority had been Aroras (Kirars), the rest being Brahmins and Khatris. They were much reserved to their communities, acquisitive (very necessary and useful it may be in their places in those days due to their position as minority), but possessed of few manly qualities and both despised and envied by the Musalman tribes of the district for the wealth and property they possessed. Of the Aroras, 11,275 were Uttaradhi and 10,580 were Dakhana as recorded at the Census of 1881. This strength was doubled when they left Bannu in 1947. They were chiefly guarded by Musslaman Malluks in the villages and by the District Administration in the walled city of Bannu. In 1947, about 50,000 Hindus souls migrated to India. They were given a peaceful send off by the local Malluks. Only one dozen families are now residing at Bannu. They were mainly known as Bannuwal Hindus and Lakkiwal Hindus among the tribes. They were learned class in the district who remained peaceful in Bannu throughout their stay. In Bannu, they had been speaking Hinko language but were well versed in Bannusi and Marwat accents. Those living in Mianwali used to speak the Niazis accent. Bannu city was occupied by almost 60% Hindus which percentage was reduced to 50% by 1940 AD since many of them shifted to villages where they purchased land once a ban on purchase of property by non-Muslims in villages was lifted by the Provincial Congress Cabinet under Chief Minister Doctor Khan Sahib in 1939. The ban was imposed by Sahibzada Abdul Quyyum Khan, the first Chief Minister of NWFP (Khyber Pakhtunkhwa) in 1937/38. In 1947, many Hindu families sold their land under compulsion of leaving their homes for migration to India. The Hindu property thus unsold by then was taken over by the Pakistan Government and a department known as Custodian Department looked after the property till the time much of the property was auctioned in 1954 to 1960 but a lot of it was given to the Mahajirs who migrated from India. The religious places of Hindus and Sikhs are still guarded by the District Administration. Like Niazis who were once a part of District Bannu but driven out by the Marwats, the role of Hindus in Bannu who migrated to India due to partition, cannot ignored. The Hindus community (as well as some Sikh families) had a complete hold on the business line in Bannu except arms making, and 80% of houses and shops at Bannu city were purely held by them. In fact, Bannu city was erected for their protection by Lt. Edwardes in 1847 thence completed by Major Taylor in 1848; and they doubtlessly attained distinction in Bannu by virtue of hard work. They left their immovable property under the assurances from the Malluks and the district administration that their property would be returned to them if they might not find their migration to India and subsequent settlement there, either impossible or hard. However, when ten years passed and none returned, the property at city was completely taken over by Custodian Department (raised for the purpose) and after letting some houses and shops given to the Mahajirs from India, the rest was auctioned under government auctioneers which properties are now possessed by different classes. The land in villages was possessed by the Malluks and then after 30 years declared as their property. The Hindus were not touched or molested at Bannu at the time of partition, rather they were looked after well and transported in their transports to Bannu Railway Station. The wealthy families managed to go by Air from Pakistan but majority of the families travelled by trained and while entering Punjab, many families at the hands of the Muslim bandits, suffered badly. Very touching scenes were observed when Hindus kissed the soil of Bannu while moving off the land with tears in their eyes. Their places of worship are still guarded by the District Administration through the Custodian Department and the Ministry of Religious Affairs, Government of Pakistan. Even after their settlement till this date in India, they speak Bannuwal language at homes and love the language. In marriages they also play Bannuwal dhol and enjoy typical Bannuwal dances. However, here at Bannu, they are remembered with good words, people talk about their ways and manners, in places of meeting. Despite some incident that took place like the sad case of Islam Bibi, a newly converted girl to Islam who had fallen in love with a pir of Jhando Khel, in 1936; they all remained much respectful to the Bannuchi communities and maintained peace, wishing tranquility for the district in general. Apart from their business line in grains; and sell or purchase of audible items like ghee, sugar, gurr and tea in the district; they even had been running the cinemas and private mechanized transport. Many of them were even tangewala (ekkawala). There were two cinemas in Bannu known as Regal Cinema and In-city Cinema, erected in 1930, run by Khanna family ( Hindu caste) and Ricky Singh family (Sikh caste) respectively. ‘In-city Cinema’ was initially known as ‘talkies’ but when in 1947, Ricky Singh embarrassed Islam and was named as Sheikh Saleem, the cinema was consequently named as ‘Saleem Theatre’. Regal cinema was owned by Bannu Garrison in 1947 when Khanna family left for India. It was subsequently leased out to Late Amanullah Khan and his brothers (Kachozai family). These two cinemas have been demolished recently by their owners due to the old brick structures that had gone dangerous after eighty years (or perhaps due to threats from Taliban), and now new commercial centers are being erected in place. Till late in 1962, the Hindus of Miranshah and Bannu who opted to stay in Pakistan, had been collectively and regularly celebrating dosehra, dewali etc., with whom many Bannuchis also used to join them on such occasions at the specified parks. They had been distributing sweets on such occasions and sending these to the Bannuchi families living close to them. Typical bilateral relations of the mebers of the two religeons existed that remained combined for centuries. After partition, as mentioned above, many Hindu families migrated to Delhi, Faridabad, Kanpur, Haridwar, Dehradun, Lucknow, Bareily, Rampur, Agra, Vrindavan and Bombay. Rampur (Uttar Pradesh) is having majority of Bannuwal communities. 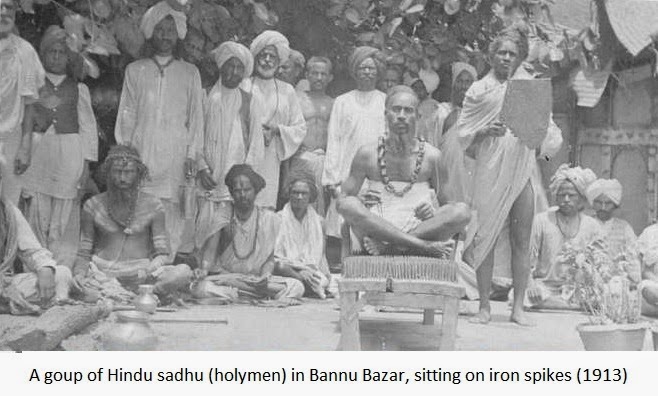 The Hindus community dressed like Bannuchis with only a difference in Turban which they used to wear around their heads differently. Some Hindus in Bannu were well off and politically well placed. The most influential among them was Kanwar Bhan Bagai, a famous transporter, grain supplier and owner of many houses and around 100 shops in Bannu city in the second quarter of 20th century. 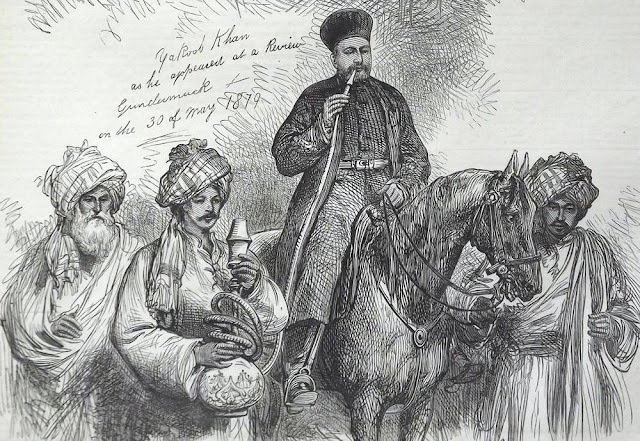 He was the head of the Bannuwal Hindus and carried weight in his decision at the British offices. To put the record straight, it is pointed out that Sikh name of Sheikh Saleem (owner of Saleem Theatre) was Kania Sing not Ricky Sing. And his father was Sham Sing.They owned a good chunk of property including shops and houses from Tehsil Street to Das Chowk in the centre of the walled city.